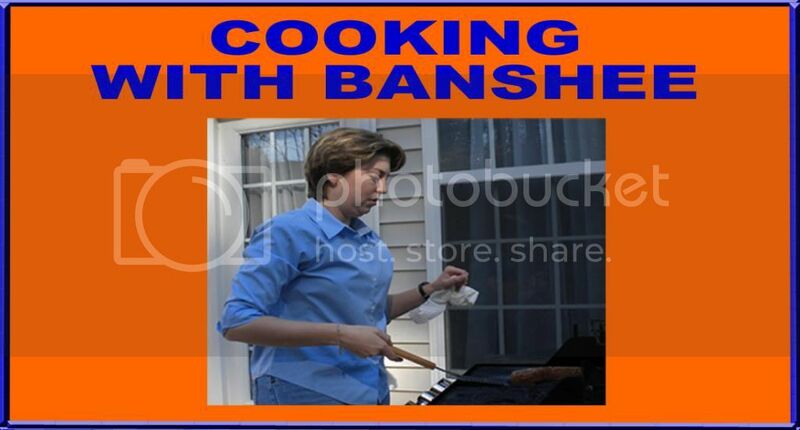 The national countdown to Super Bowl 50 continues and so does the Banshee Sports countdown of the 50 Most Memorable Super Bowl Moments. The Most Memorable Super Bowl Moments: 30-21. 30. Tipped Touchdown. Although Johnny Unitas was out of the game with an injury when the Colts won Super Bowl V on a last-minute drive, the legendary quarterback did deliver a pivotal first half pass. With the Cowboys leading the Colts by a score of 6-0 in the second quarter, Unitas dropped back to pass from deep in his own territory. The ball deflected off the hands of two Cowboys' defenders before John Mackey hauled it in and rumbled for a 75-yard touchdown that tied the game. 29. Manning to Manningham. Eli Manning may be a bit inconsistent during the regular season, but when it comes time for the Super Bowl, Eli is super clutch. In Super Bowl XLVI, the New York Giants played the New England Patriots. For the second time in five years, the Giants came into the Super Bowl as underdogs to the Patriots, and for the second time in five years, the Giants emerged victorious. With under four minutes to play and trailing 17-15, the Giants took possession of the ball on their own eleven yard line. On first down, Manning threw an unbelievably perfect pass to Mario Manningham. Manningham was double covered and his momentum was taking him towards the sidelines. Nonetheless, Manningham was able to secure the ball and keep both feet inbounds to complete the reception. The Giants would score a touchdown on the drive and hold on for 21-17 victory. 28. Trickeration Gone Wrong. The Baltimore Colts entered Super Bowl III as 18-point favorites over the New York Jets. The Jets got off to an early 7-0 lead, but the Colts were primed to tie the game when a trick, flea-flicker play fooled the Jets and left a Colts wide receiver all alone near the goal line. But, quarterback Earl Morrall did not see the open man and instead forced the ball down the middle. The pass was intercepted. The Jets kept the lead and never looked back. 27. Montana Dominates Denver. Joe Montana won four Super Bowls during the course of his career. Although Montana may have had more heroics in other Super Bowls, Super Bowl XXIV was his most dominant performance. During the 49ers 55-10 rout of the Denver Broncos, Montana was 22-29 passing for 297 yards and no interceptions. He also threw for a then-record five touchdown passes. 26. 65 Toss Power Trap. It takes a special personality to turn a short run up the middle into one of the most iconic plays in NFL history. 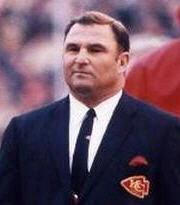 That special personality was Kansas City Chiefs' head coach Hank Stram. In Super Bowl IV, the Chiefs jumped out to a 16-0 halftime lead over the Vikings thanks to a short touchdown run on the "65 toss power trap" play. It's not the play itself that is particularly memorable. Rather, it was the fact that Stram's call for the play and his prediction that it "might pop wide open" was captured by NFL Films. 25. Saints with a Leap of Faith. In the seasons following the tragedy of Hurricane Katrina, there was a special aura around the New Orleans Saints. In 2010, the still-recovering Crescent City had something to celebrate when the Saints defeated the Colts in Super Bowl XLIV. The Colts were ahead 10-6 at the half and were set to receive the second half kickoff. In one of the riskiest plays in Super Bowl history, the Saints executed an onside kick to start the half. The Saints recovered the ball and drove in for a go-ahead touchdown. The Saints went on to win the game 31-17. 24. Perfect Blunder. The 1972 Miami Dolphins beat the Washington Redskins in Super Bowl VII to finish off the only perfect season in NFL history. But this 14-7 victory features one of the least perfect plays of all time. On this single play, Dolphins' kicker Garo Yepremian manages to have a field goal blocked and to throw a pick six. 23. The Young and the Record Setting. When the 49ers traded Joe Montana before the 1993 season, he still owned the Super Bowl record for touchdown passes thrown in a single game. It only took two seasons for a new signal caller in San Francisco to re-write that record. In Super Bowl XXIX, the left-handed Steve Young threw for an astounding 325 yards and 6 touchdowns. That effort carried the 49ers to an easy 49-26 victory over the San Diego Chargers. 22. Where's the Beef? This phrase became a common part of everyday parlance in the 1980's. The line originated from a series of Wendy's television commercials that aired in 1984. Although the Wendy's ad originally featuring the line actually debuted earlier in January of 1984, the commercial gained fame and popularity when it aired later that month during Super Bowl XVIII. 21. Pregame Party. In the days before smart phones and social media, the off-field exploits of athletes were more rumor than proven fact. But, the exploits of Max McGee before Super Bowl I have been repeated so often that they are now widely accepted as true. The year was 1967. The scene was Los Angeles, California. No one knows whether backup wideout Max McGee gave much thought to the likelihood of playing time when he went out on the town on the night before the game. We do know that McGee gave plenty of thought to the beauty of the California girls. We know this because a drunken McGee called his roommate Paul Hornung late that night to discuss this fact. McGee eventually found his way back to the team hotel in the wee hours of the morning, but a few brief hours of sleep were not enough to ward off a raging hangover. As fate would have it, an injury forced McGee into a starring role in the game. McGee caught two touchdown passes that help lift the Packers to a 35-10 victory over the Chiefs, but it was the off-field performance that elevated McGee to legendary status.